Totara Tree Essence and Tea Tree help balance oily areas, purify clogged pores, and treat blemishes. Pro-Vitamin B6 nourishes and supports the natural healing process. Allantoin helps calm irritation and redness. Paraben free. After cleansing and toning apply a thin layer over oily areas, clogged pores, and blemishes, avoiding the eye area. Use a.m. and p.m. as needed. Aqua (Distilled Water), SD-Alcohol 3-C, Hamamelis Virginiana (Witch Hazel) Extract, Salicylic Acid (3%), Glycerin, Fomes Officinalis (Mushroom) Extract, Hydrolyzed Yeast Protein, Aesculus Hippocastanum (Horse Chestnut) Seed Extract, Pyridoxine (Vitamin B6), Niacinamide, D-panthenol, Zinc Gluconate, Allantoin, D-biotin, Resorcinol (1%), Totara Tree (Totarol™) Extract, Citrus Medica Limonum (Lemon) Peel Oil, Melaleuca Alternifolia (Tea Tree) Leaf Oil, Citrus Grandis (Grapefruit) Peel Oil, Methylcellulose. This product works very well with pimples. It dries out pimples very fast. HOWEVER, it also dries out your skin, if you try to balance your oily area. So, my recommendation is only use it for pimples. Finally a product that works!!!! 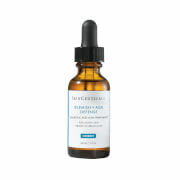 I've tried so many skin treatments to control my acne, and this is by far one that I am going to keep around for good. I have sensitive skin and use this once in the morning and once at night with no problem. It controls the oil and gets rid of redness. Highly recommend! I recently purchased a bottle after getting a facial done (with much coaxing from the cashier). I'm so glad I did! I have extremely oily skin that's prone to breakouts, and this gentle formula has zapped the oil away (without making the skin dry and flaky). I just put on a small amount to cover my trouble areas, and I can see the difference all day. My skin definitely looks much better after using this product, and now I'm hooked on the Astara line. I am surprised that this entire Astara line doesn't have a whole lot of reviews. I love the stuff. It is all natural and free of parabens. 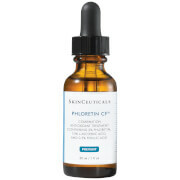 This purifying treatment is one of my favorites, but I love the entire blue flame line. It is really effective!